One of the perks of our site, is we get to preview some cool events! Check out what’s coming to Legoland Discovery Center in Westchester! We will be covering this on Monday 9/18! Can’t wait to preview the LEGO Ninjago Movie! I’m bringing my gang, and will be sharing a sneak peek!!! Hope everyone is having a great weekend! Martin Luther King Day is tomorrow and we’ve curated a fun list of things to do! Continue reading NEW! Join our Facebook Group! We love our water parks, and wanted to share a few of the ones we have highlighted over the years. Here is just a sampling. 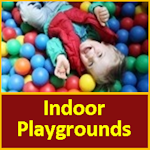 Since 2008 we’ve scoured NJ for playgrounds and places to bring the kids to have fun, Fosterfields Living Historical Farm has been in our list for quite some time, but we just never got a chance to go. On Thursday July 7, 2016 we have learned there are 2 kid friendly movies playing… Alvin and the Chipmunks and Minions. Minions 5:30-8:30 pm at the Train Station Plaza in Downtown Rahway. Movies begin at Dusk. It’s the most wonderful time of the year! Happy 4th of July!!! Hey NJ Playground Fans and Readers! It’s that time of year again with tons of fun family events for the 4th of July. April events are free to post this month! So, here is how you post on our calendar. 1) Go to calendar page 2) Click on the green button (+post your event): 3) Fill out the info. Continue reading How to post your event on our Calendar! 5/7/2016 Update- Toms River and Maple Shade added!! Also we added the start dates for all centers in NJ below! It’s April 2016, and we’re getting geared up for yet another summer of Kids Bowl FREE! 2 games, per kid, every day, all summer long. Calling all South Jersey Moms! Attn Playground People! We need your recommendation on South Jersey Parks! Hey South Jersey, we know we haven’t populated many of your parks on our site, so here’s a little incentive! 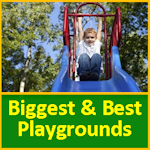 Where’s your favorite playground in South Jersey? Continue reading Calling all South Jersey Moms! Looking for our Little Gym Post? Sorry put the wrong link on the email, here is the correct one!!! Wanted to create a space to share causes that are helping NJ families. Do you know a NJ family that needs help. Share your link in the comments below. Plus include support organizations that can help folks like Nik. Continue reading Harlem Wizards in Parsippany May 9th! Top 5 List of Unique Gift Ideas to Get Active in NJ! Continue reading Top 5 List of Unique Gift Ideas to Get Active in NJ! Editor’s Note: After a hiatus for a couple years we are looking to update this post with YOUR RECOMMENDATIONS! Please comment below or on our facebook page with your favorite FALL destination. On September 23, from 10AM-1PM, we will be selling KidStuff Books at our table at our Mommy & Me Event at Imagine That!!! in Florham Park! To purchase tickets for this great event check out this link! Proceeds to help Walton School in Springfield NJ.